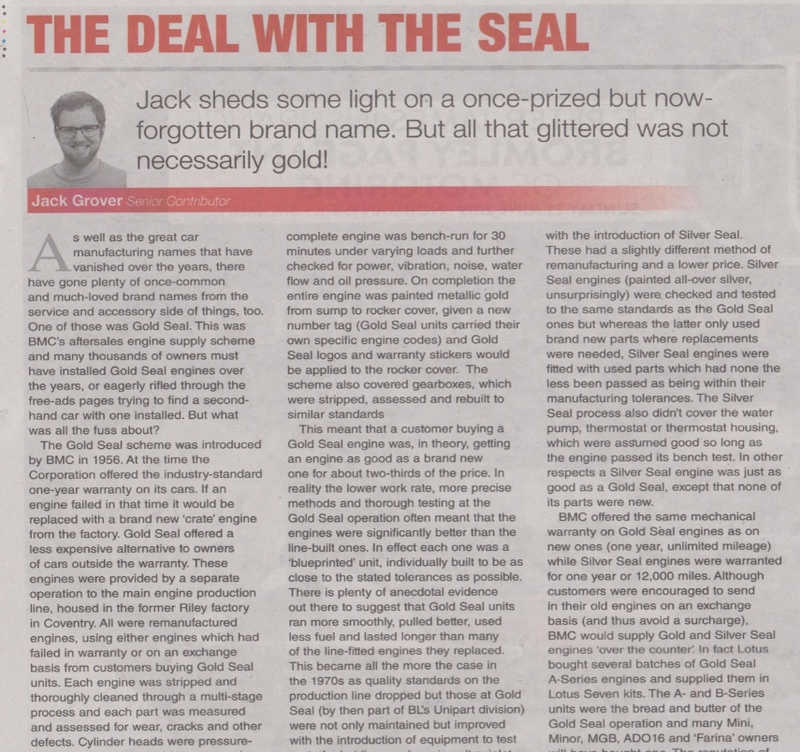 A lovely read, Reminds me of when I was young sat reeading my brothers and dads car magazines whilst having a -h-t.
Just got a morris minor with a gold seal engine in it. My '60 has a Gold Seal engine still in it (now green) that was fitted in the late 60's when the cone gearbox went up the chute. The then owner decided to fit a complete Gold seal engine/box assembly. Still has the 8G engine tag on it. We have a Silver Seal Morris Minor engine in the shed that was fitted to Dad's Midget when he bought it. Ivor Searle used to do these and Ford Exchange Engines. Hartwells were having a clearout of 11090 Marina van silver seal engines in 1990 and I bought two for 100 quid each, fitting one to a 1968 Minor 1000 and selling the other one. Silver seal units were very good. Just picket up a little Nugget today! 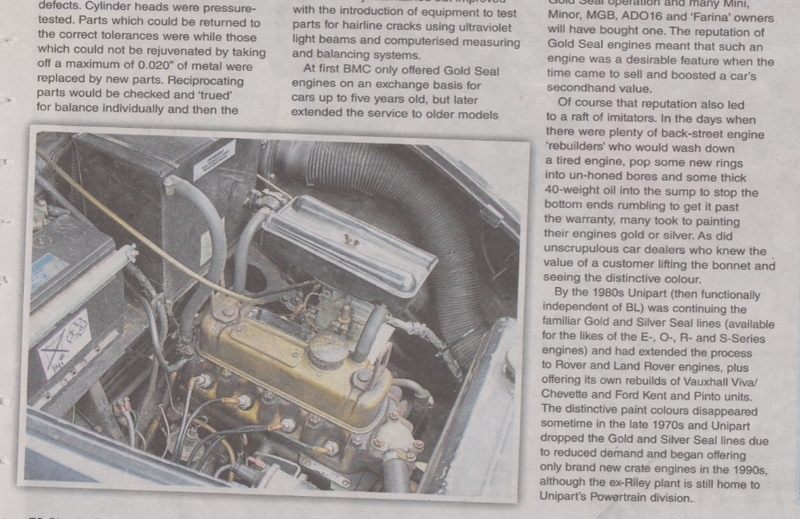 Gold Seal 998 Cooper engine with 22G1128 Gearbox.